Welcome to the lakeside city of Milwaukee, the largest and most vibrant city in Wisconsin. With strong German roots and a rich history in brewing, Milwaukee has evolved into a rich and fascinating contemporary city. The past decade has seen the most significant area improvements, such as the $100 million addition to the Milwaukee Arts Museum.There is more than meets the eye in the arts scene of Milwaukee, with the Milwaukee Symphony Orchestra, the Milwaukee Ballet, and the Milwaukee Shakespeare company as just a few of the many performing arts companies in the area. Also known as the “City of Festivals,” Milwaukee is home to Summerfest, the largest music festival in the world. Over one million visitors come to town every summer, earning it a spot in the Guinness Book of World Records. Countless other festivals occur throughout the summer months, rivaling much larger surrounding Midwestern cities and towns. Milwaukee is home to the Miller Brewing Company, the second-largest distributor in the country. Because of this, a brewing culture dominates the area, with several microbreweries serving up local drinks around town. Major schools like University of Wisconsin-Milwaukee and Marquette University have created an active nightlife in several hot neighborhoods, including Bay View, River West, and the Historic Third Ward along the river. With restored industrial buildings turned into trendy lofts and boutiques, Milwaukee is full of culture, class, and a neighborhood feel throughout its new urban landscape. 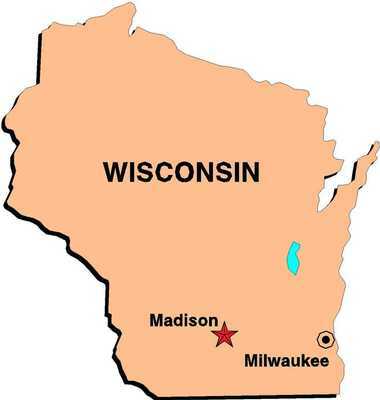 Head to Buyowner.com to check out current for-sale properties in the Milwaukee area! With 26 miles of lakefront and a world-class culture, Chicago is known as the oasis of the Midwest. Home to some of the most distinct neighborhoods in the country, Chicago creates a truly diverse urban experience, with unique art, cuisine, and people in every corner of the city. Chicago was once the most formidable locale in architecture and design, and you can see the most impressive architectural feats from Lake Michigan and the winding Chicago River. Summers in Chicago are truly spectacular, with street festivals, free movie screenings, and a bustling lakefront that provide cheap and diverse entertainment for the warmest months of the year. Once known as an industrial hub, Chicago has been given a new look by recent development. Older brick buildings have been renovated into trendy lofts, while quieter neighborhoods have been revitalized by new business and residents. High-rises, condominiums and single-family homes are being built every year, and residents are finding more and more art, culture, and entertainment in each neighborhood. Chicago is also known to have a bustling art community, with over 35 galleries in the West Loop alone. Rush Street, Michigan Avenue, and the lakefront have historically housed the rich and the famous, with top-notch bars, restaurants, and shopping within walking distance of each other. Today, Chicago is home to a bustling film and tourist industry, with celebrities often living in or passing through the Windy City. The Chicago theater scene has produced several film and theater celebrities, and spawned the Second City, one of the largest comedy theaters in the country. Several Loop and off-Loop productions have been featured on Broadway, and Chicago maintains a solid breeding ground for entertainers of all kinds. With the height of urban culture at your fingertips, Chicago brings you the best that the Midwest has to offer. 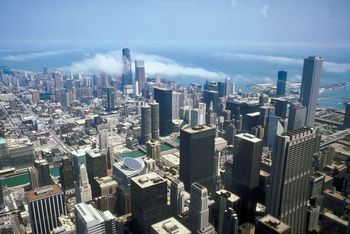 Check out hot for-sale properties in the Chicago area at Buyowner.com! Welcome to the Crossroads of America! 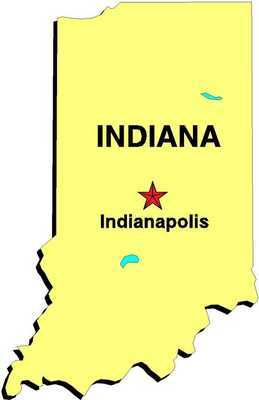 Right in the center of the Midwest, the city of Indianapolis serves as a midway point between several cities, including Louisville, Chicago, Cincinnati and Saint Louis. Indianapolis is the 13th largest city in the U.S. and is fast-growing as a result of revitalization, combined with an attitude all its own. It’s situated on the original East-West road in the country, where the city’s crossroads have made suburban access surprisingly easy compared to other cities of its size. Several universities are located within Indianapolis, such as Butler University, Indiana University-Purdue and the University of Indianapolis. With a vibrant academic community, this city has overcome its roots in the Rust Belt and has built a thriving economy in the media and service economy. At the center of this revitalized economy is a growing interest in the history and tourism within the city; the Soldiers and Sailors Monument, for example, is one of the oldest in the city, and much development in the city has been directed around this prized historical monument. The White River has also been a desirable district to live around, with the White River State Park offering some serenity in the midst of the urban landscape. Filled with countless racing fans, this city is a hotbed for amateur and college sports. Home of the Indiana Pacers, Indianapolis boasts a rich sports history and culture, with basketball, football, and racing as a true pride of the city. The widely successful Indianapolis Colts have put Indianapolis on the map yet again, and sports are a significant part of this vast city’s urban economy. With over 650 square miles of land, Indianapolis boasts an area larger than New York City and Chicago, and it has plenty to offer from end to end. 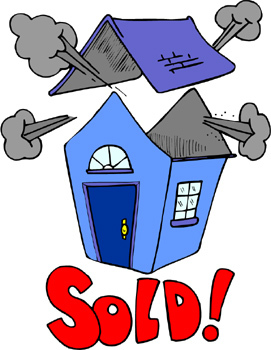 Now’s the perfect time to check out Buy Owner’s Indianapolis homes for sale by owner! The City of Brotherly Love welcomes you! 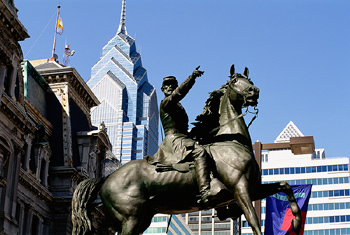 As the sixth most populous city in the U.S., Philly is a city rich with American history, with food, culture and Colonial architecture to match. It’s situated on the Delaware River, providing several homes and businesses with waterfront property, while a vibrant industrial economy churns beyond the waterway. Philadelphia is also the northernmost city that falls in the humid subtropical region, allowing for very modest winters and spectacular summer months. Each Philadelphia neighborhood boasts its own unique charm, with stately Victorian-style homes next to contemporary showcases, colonial row houses and city skyscrapers. Fantastic bars are never far away. With a vibrant nightlife and cuisine that could only come from a place like Philly: try the local water ice, a local delicacy, after you gorge yourself on a world-famous Philly Cheesesteak. After that, you can take a walk by the riverside, or through the beautiful, historical campus of the University of Pennsylvania. As one of the finest college towns in the country, Philadelphia offers an academic atmosphere coupled with industry and innovation. Two major lines of transportation, the Septa and the Patco systems, provide service to the surrounding suburbs, as well as the nearby hub of New York City. Philadelphia has the third oldest public rail line in the country, while the city itself was designed with wide roads and open spaces, in order to imitate an English country garden. While there are few country gardens to be seen today, there is plenty to experience in this significant piece of American heritage. Head to Buyowner.com right now to check out Philadelphia properties listed for sale by owner! Louisville has a history much richer than one might imagine: gorgeous eighteenth-century buildings are found throughout the downtown area, named after King Louis the Fourteenth of France by an early American explorer. Influenced by both Midwestern and Southern culture, this city is situated in a key area along the Ohio River and the Indiana border. 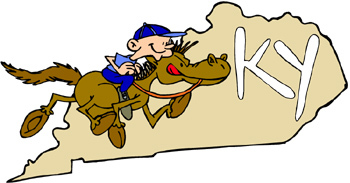 It hosts the world-renowned Kentucky Derby, called the most famous two minutes in sports, which brings in equestrian fans and spectators from all over the country every May. Hot neighborhoods in Louisville mix culture and history, with a variety of activities offered throughout town. The West Main District is known to locals as “Museum Row,” including the Frazier International History Museum, the Louisville Science Center and IMAX, and the Speed Art Museum, the oldest and largest in Kentucky. In conjunction with the University of Louisville, the Speed is just one part of a large and multifaceted university atmosphere. According to a study done by Morgan Quitno Press, Louisville is ranked as one of the safest cities in the country, with half of the violent crime rates of surrounding U.S. cities. Most recently, it has become a central location for both health care and the medical science industry, with a booming job market in these and related fields. Also, nearly one-third of all bourbon whiskey is made in Louisville, with world-famous Kentucky whiskey and major related industries around the city. Home to the famous Louisville Slugger Museum, this city has a diverse history that results in a strong job sector and thriving tourism. There are at least seven different pronunciations for Louisville, but one thing’s certain: it can always accurately be called one of the most unique cities along the Ohio River. 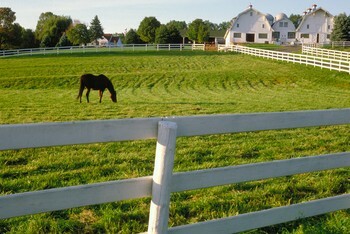 Head to Buyowner.com right now for your chance to catch hot Louisville homes listed for sale by owner! Welcome to the historic, revitalized New Orleans! With a rich and enduring culture, New Orleans has come back with a vengeance. The world-renowned Mardi Gras celebration brings people from all over the world for the celebration of a lifetime, while a thriving visual art and jazz scene keep this city active all the year round. 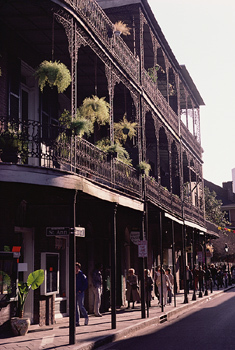 Original French and Spanish architecture remains in the city’s French Quarter, the oldest and most famous neighborhood of New Orleans. The French Quarter is home to Bourbon Street, a hotspot for music and nightlife, while charming historical buildings are found on every corner. Nestled along the Mississippi, New Orleans is one of the most visited cities in America. This international city has been influenced by European, African, and Southern American cultures to create a unique style all its own. With Creole and French cuisine, the dining atmosphere is truly top-notch, and you’ll find many establishments that cater specifically to the locals. From crawfish to étouffée, both casual and haute cuisine will leave you wanting more. New Orleans is also home to several major universities, creating a rich intellectual atmosphere in the midst of artists, musicians, and longstanding locals. With one of the most active ports in the world, the Mississippi is a hotbed for business and industry, with jobs in every sector and a close proximity to the Gulf of Mexico. Three active streetcars lines provide easy and unobtrusive public transportation around town, while old country mansions are both showcases and the pride of this city. As one of the most cultural cities in the world today, New Orleans has so much to offer! Head to Buyowner.com right now to check out New Orleans properties listed for sale by owner! The difference in cost in renting and owning a home could make a world of difference to your financial situation. It is important to recognize the many different situations that, although they may seem cheaper at the time, will actually cost you more in the long run. Using loan calculators and rent-versus-buy calculators can give you some insight into how taxes, tax breaks, equity and general expenses can factor into this major financial decision. Ginnie Mae is a government-backed security with a fantastic website, including several easy-to-understand charts and calculators that will give you a better idea of whether you should rent or buy. Three of the most useful calculators are the Loan Affordability Calculator the Rent Versus Buy Calculator and General Affordability Calculator. These calculators help determine payments based on several simple variables, with a simple, itemized view of what-costs-what. And if your kids are looking to learn about their money, they can check out Ginnie Mae’s Super Cool Educational Cartoons to learn about saving and investing! – Over $100 billion toward pre-foreclosure counseling and stronger loan disclosure requirements. There is some opposition in the House, however; some believe that the bill favors homebuilders over the homeowners who are at risk of foreclosure. Some also argue that the bill uses taxpayer’s money to save lenders with foreclosed homes instead of the homeowners themselves. What’s most interesting about this bill is that it will allow homeowners to refinance under FHA-backed loans to avoid foreclosure. Up to $10 billion in tax-free mortgage bonds will also help homeowners refinance their way out of the troublesome subprime loans. A similar move would grant nearly $400 billion in FHA-insured loans to provide a similar effect. There is another side to the argument: the most recent proposed bill in the House wants tax breaks for first-time home buyers and speculators in low-income rentals. The Bush plan is also taking a different approach, focusing strictly on refinancing home loans over the multi-billion dollar surge that this bill would give to the housing market. Heated arguments are coming from every angle of this debate, and the best move might not come in the most obvious economic package. For the first time since July of 2007, home sales are on the upswing. Sales rose by 2.9 percent in February after a dramatic six-month decline that has sent the housing market on a downturn. While sales are still down from the previous year, this marks the building of momentum toward recovery and a healthy housing market. What’s the most surprising factor? Sales jumped before spring, showing an interest to move homes in anticipation of the coming season. 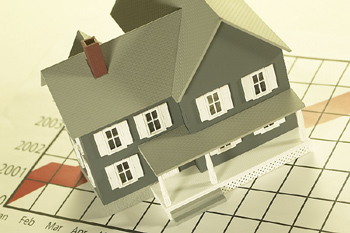 An early jump on sales suggests that in-season home sales should follow this upward trend. While we’re still waiting on the March sales results, this incredibly promising February is sending a wave of positive energy through the ready-for-change real estate market. The surprising upturn even gave Wall Street a boost, with major creditors and investors regaining a small chunk of the year’s major losses. The region that saw the biggest sales increase was the Northeast, while a smaller, steadier gain occurred in the Midwest. The only decrease in sales occurred on the West Coast, where home sales have remained relatively steady through the bubble and the succeeding downturn. Overall growth may not immediately lead to a full-scale recovery, but certainly gives home sellers the leg-up that they need to get selling! Homes were selling at an 8.2 percent lower price than the year before, according to the National Association of Realtors. While this may be one of the most dramatic price drops we’ve seen, it’s important to consider the significant, inflated prices that single-family homes and condominiums were priced at in the height of the housing bubble. Mortgage rates are still at the sweet spot, just under six percent; refinancing and getting a first mortgage can be a great deal for eligible buyers. This downturn in price, combined with an increase in sales, proves that the market is leveling out for long-term prosperity.